Stringing Fool: Focus on Life: Bye Bye for Now! Focus on Life: Bye Bye for Now! A little friend scurries away. Well, we have come to the end of the first year of Focus on Life. This project, sponsored by Sally Russick of The Studio Sublime, has encouraged creative photography and story telling all year long. These past few weeks have been challenging because I usually like to capture the natural world around me, and the cold weather and short days limit the pictures I can take. 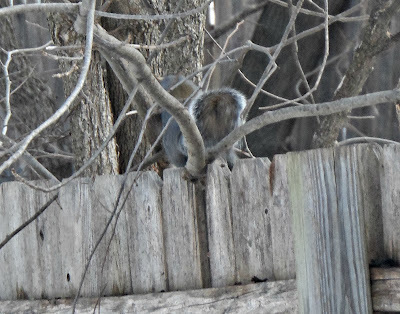 As I scrambled to get my camera turned on and grab a picture of this cute squirrel, he noticed me and my pal, Bebop, and scooted away. "Goodbye, friend Squirrel, catch you next time." Great goodbye shot! I'm sure he'll be back, especially if you have a birdfeeder! Perfect shot! Have a wonderful 2014! Great monotone photo. Happy New Year! Great photo! Those squirrels are fast. I hope you are joining us again. Wishing you a very happy new year! Great 'goodbye' shot! I hope you see him again! Have a wonderful and safe New Year's Eve and a super 2014!! Forgot to mention, I am going to be doing this again in 2014. It's been great! That little squirrel will be back one day soon, I'm sure, and I hope that you will be too! Perfect photo and thrilled to continue for 2014. Best wishes for the New Year. I think that you got it right Beti. 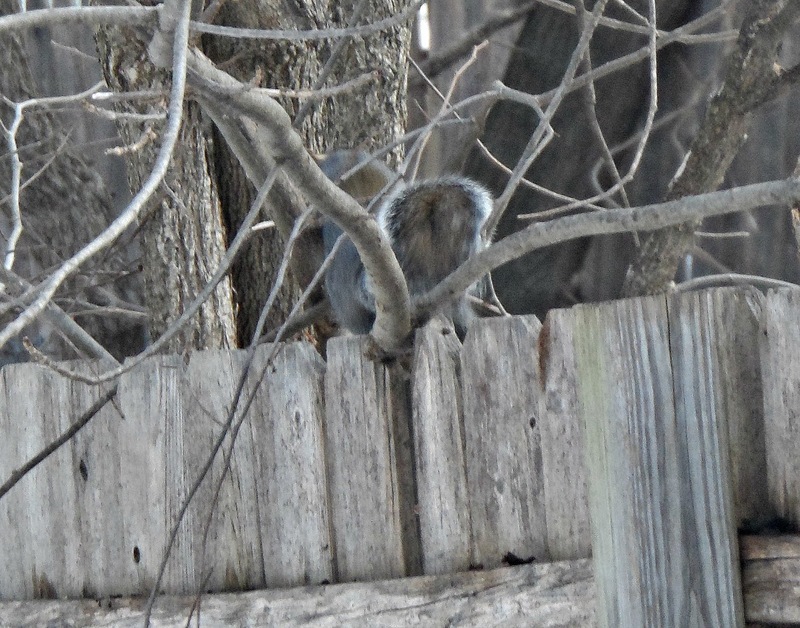 The squirrel is saying goodbye with his tail. Looking forward to seeing you next year. Perfect shot for saying goodbye. Have fun with next years challenge! Cute picture! Hope you have a wonderful 2014... see you in the New Year! I love squirrels and yet we rarely see them. Hope to see you around in the new year. I'll be cking in from time to time. Best wishes for a wonderful 2014! Great shot, Beti! Happy New Year 2014! That's a lovely 'goodbye' photo - he/she will be back, especially with this weather :) Have a fabulous New Year! I love colors and shapes, and how they combine. It took me forty-odd years to recognize that the expression of this love was through creating jewelry. So here I am blogging about my craft. I hope that sharing with the world will bring me even more satisfaction with this fascinating craft, and maybe give my family a break every time I finish something...I won't have to track them down to show them my stuff!